Shea Butter, Unrefined Shea Butter, 100% Natural, Natural Shea Butter, Shea, Butter. 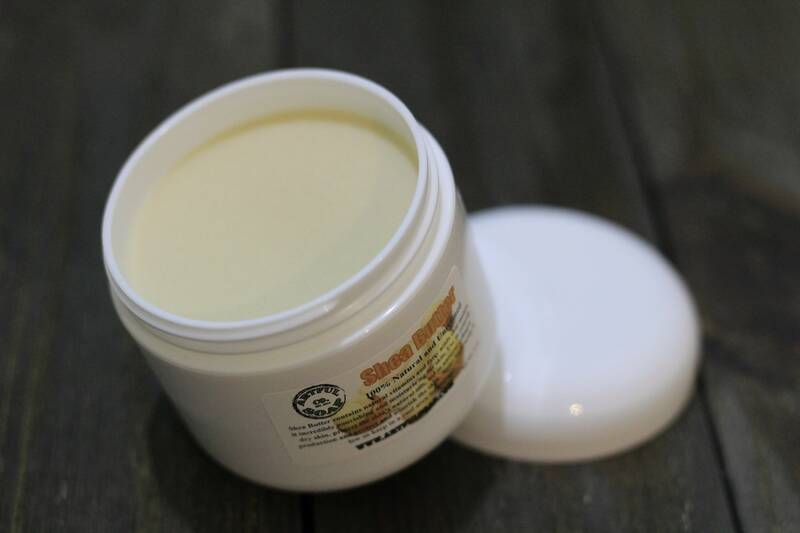 The finest Organic African Unrefined Shea Butter, GRADE A; the highest rating. It is completely raw, unrefined and has a thick and often nutty aroma. We do not use bleaches, deodorizers, or chemicals to change the scent or appearance of the Shea Butter. 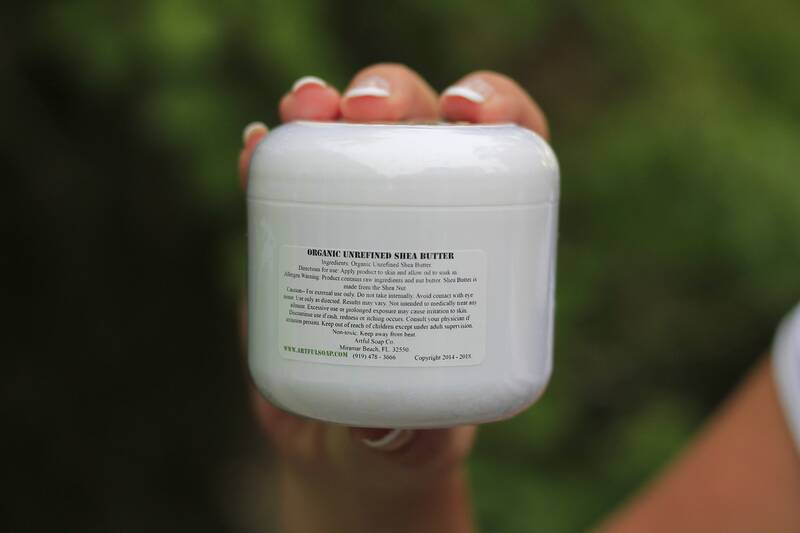 We do not advise you purchase Shea Butter that has been altered; as this depletes the product of its healing and medicinal properties, and also destroys the vitamins and minerals naturally present in Shea Butter. This unrefined Shea butter is for cosmetic use only. DO NOT INGEST! A small amount of impurities and sediment (very small bits of plant fiber and husk) may be present. Batches may vary in color and this product may contain white patches and darker streaks which are normal. Ingredients: Grade A Unrefined Shea Butter. 4 Oz Jar.